For this Client we built a CMS website. Tatem Web Design customized the Design Template to fit the company branding of Hurricane Fabric. We set up the hosting and host the website on our servers. We set up email for this client. We set up the social media component for users to connect to. We built a user friendly website for this client to be able to sell and show the newest hurricane technology on the market. 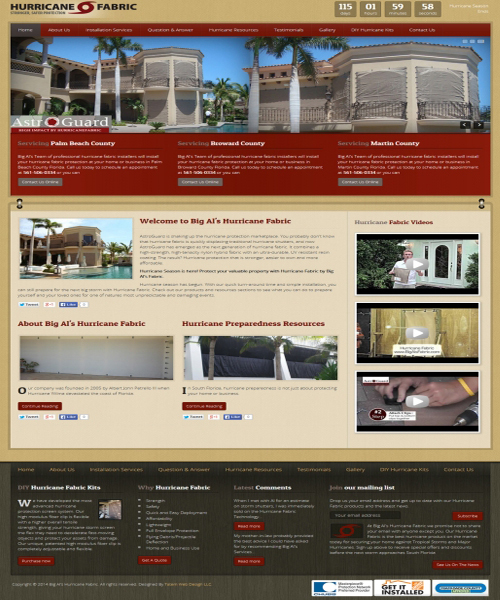 We designed the layout and installed a video player and company video on the homepage.